Consult the owner’s manual for additional recommended maintenance for your model of door opener. If you don’t have the owner’s manual, look for the opener model number on the back of the power unit and request a manual from the manufacturer. Garage door openers manufactured after January 1, 1993, are required by federal law to have advanced safety features that comply with the latest UL (Underwriters Laboratories) 325 standards. Contact your manufacturer or installer for additional information. With the door fully open, place a 1-1/2″ thick piece of wood (a 2″ X 4″ laid flat) on the floor in the center of the door. 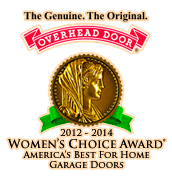 Test the force setting of your garage door opener by holding the bottom of the door as it closes. If the door does not reverse readily, the force setting may be excessive and need adjusting. See your owner’s manual for details on how to make the adjustment. Many garage door openers can be equipped with additional safety devices, such as photo eyes or edge sensors, to protect against entrapment. Keep in mind that adding more safety devices will not make an old opener meet the current UL standards. Make sure the additional safety devices are properly installed and adjusted (see owner’s manual). WARNING! Never remove, adjust, or loosen the screws on the bottom brackets of the door. These brackets are connected to the spring by the lift cable and are under extreme tension. Lubrication Regularly lubricate the moving parts of the door. However, do not lubricate plastic idler bearings. Consult the door owner's manual for the manufacturer's recommendation.